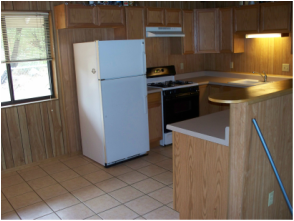 3 Bedroom, 2 Bath Home on Quiet Cul-de-sac. Modern kitchen, large dinning area, Separate vaulted living room. 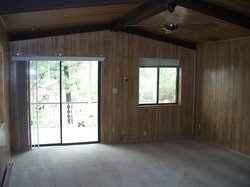 Vaulted living room opens through a patio door to West facing, covered deck. 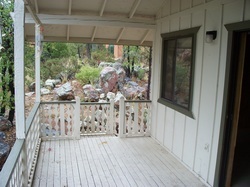 100' Deck overlooks natural boulders and greenery. Sits above homes to the West. Metal car port protects vehicles. 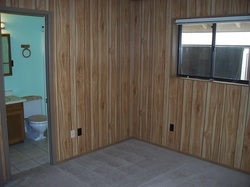 Only $950 a month rent. Pets welcome with $100 refundable deposit. First month's rent and $950 security deposit. Call 928-848-4501 for application or download from the Home page. Private bath. Luxurious carpet through out the home, except in the kitchen. Fenced backyard with large storage building. Evaporative cooler and large window unit for cooling and baseboard electric heat with individual room control.